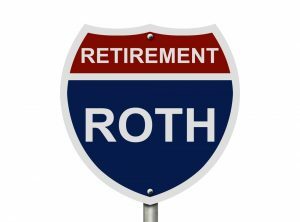 The Roth IRA is one of the most popular accounts that allow people to invest tax-free for their retirement. However, if people earn too much, they will not be eligible to contribute directly to a Roth IRA. But meeting with an experienced financial planner in conjunction with other professionals such as your estate planning attorney may allow you to exercise a backdoor Roth IRA strategy that allows high earners to bypass any income limits. High earning employees who do want in on tax-free investment growth that is offered by the Roth IRA could benefit from the so called backdoor IRA. In the event that a high earning person already has a tax deductible traditional IRA account, this strategy becomes extremely important. This is why it is knowledgeable and valuable to reach out to a financial planner and accountant immediately. If you have never opened an IRA before, it is simple to do so. You can open a traditional IRA at the brokerage of your choosing, make a contribution to the account, open a Roth IRA at the same brokerage and then convert that amount contributed to the traditional IRA to a Roth IRA. This leaves your traditional IRA empty and instead moves the money into your Roth IRA. Make sure you talk over your options for estate planning and an appropriate financial planning protection with a knowledgeable estate planning attorney as well as other relevant professionals.